Assembling Rosie is a 2D puzzle platformer that uses a zombie narrative to examine the cultural expectations that society puts on women. 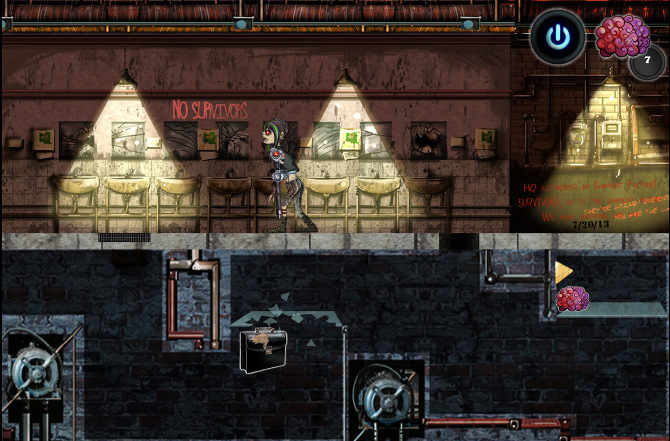 You play as Rosie, a young zombie who must reconstruct her rotting limbs with what she finds in her environment in order to solve puzzles and find brains. However, as her appearance changes, so to do the attitudes of the characters around her, which can help or hinder her progress.